This is an image commonly found in NHS waiting rooms and depicts the idea of cost within the NHS. 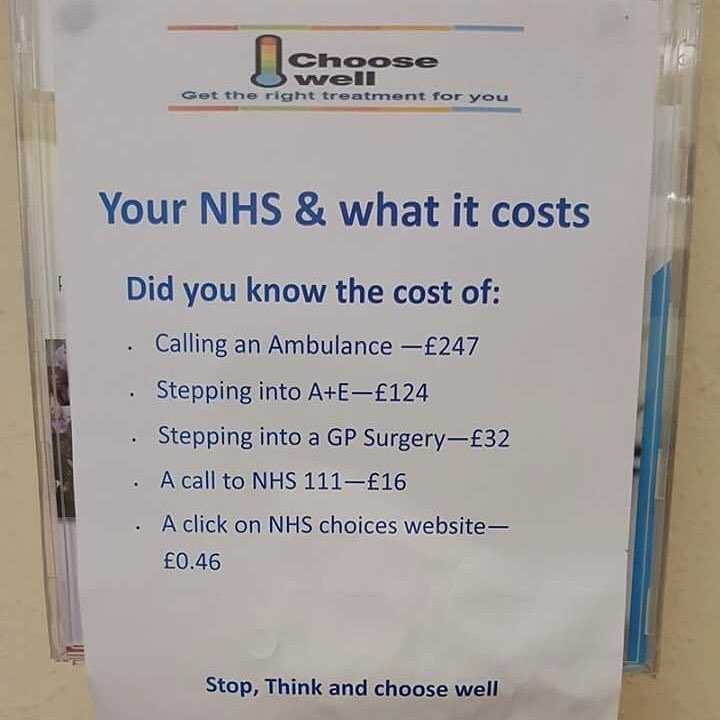 Even though the NHS is a free heath service in theory, the government still want people to be aware of the costs in practice. The idea of cost being thrown at patients constantly is interesting because it puts responsibility on patients to ‘make the right choice,’ when receiving services and aiming to be cost efficient. This is a fascinating object. It would be great to know more about when such material began to be posted in NHS waiting rooms, or if this kind of costing was projected to the public in different ways.